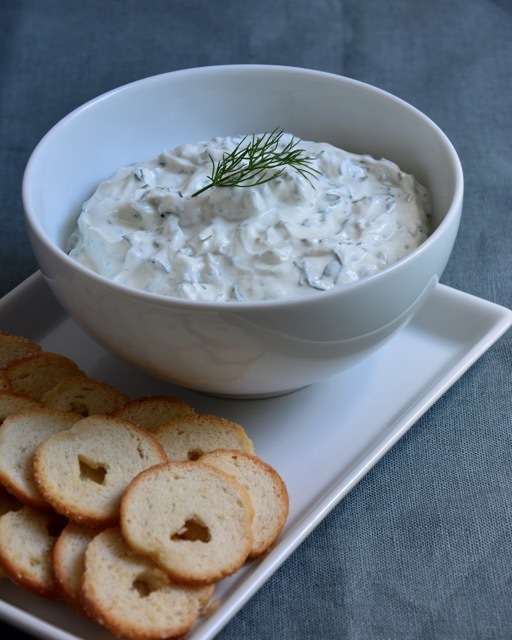 Whenever I make this version of tzatziki, which is often, I buy Greek-style yogurt and strain it for several hours, which makes it really thick and creamy – like a soft farmer’s cheese. I think this is more of a spread rather than a true tzatziki. 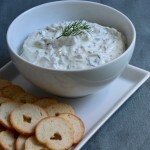 But, if you would rather a runnier tzatziki, simply skip the straining, which will also save you some time. Line a mesh sieve with paper towels. Pour the yogurt into the sieve, store in the fridge, and allow to strain until the yogurt is ultra-thick and almost cream cheese-like, about 3 hours. Pour out the liquid that has collected and place the yogurt along with the remaining ingredients into the bowl. Stir well. Serve cold as a condiment. After mixing, it’s best to store in the fridge for several hours to develop.